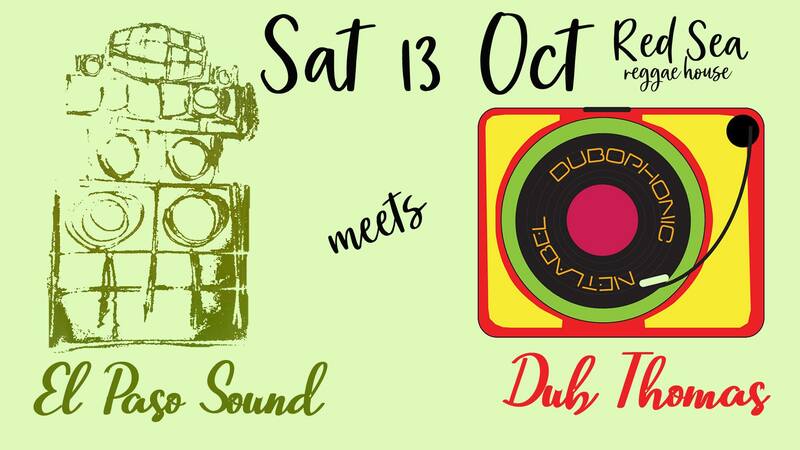 El Paso Soundsystem has the pleasure to invite mister Dub Thomas reggae selector, radio producer and founder of the Record Label named Dubophonic, specializing in the art of dub musik, for a musical meeting. from 22:00 o’clock, El Paso Sound crew n’ family will be ready for a blasting soundsystem session, thi sound station ‘ll have the honor to host n’ feel the energy from thi selection of Dub Thomas. Dub // Reggae // Steppas // Bass // Fusion // Dubtronica // World Music // dubplates n’ releases from Dubophonic Label until the early morning. Born on the island of Cyprus in the middle 60s, Dub Thomas (born Savvas Thomas) has been attracted to music since he was a youth. Nevertheless, it was during his ten year stay in Germany in the 80s and 90s, that he got familiar with the conscious vibes of reggae music. The live concerts of Linton Kwesi Johnson, Dub Syndicate and Mad Professor inspired his future path. After returning to Cyprus, he founded 2012 the IDM Crew, a family of selectors and producers, touring around the island and spreading the Jah message. Performed in various festivals and events in Cyprus and abroad, sharing the stage with artists like Vibronics, Echo Ranks, Direct Impact, Haji Mike, Med Dred, King of Eye, Peter Attah and played on two of the main soundsystems of the island (Roots Crew Soundsystem, Jah Star Soundsystem). It was also during that time that he became founding member of the Cyprus Dub Community Radio, the only online radio in Cyprus dedicated in reggae and Dub. As a radio dj, he had also resident slots on the two main online radio stations in Europe, on Artikal Vibes and on Versionist(aka Outta mi Yard), on which he plays until today. 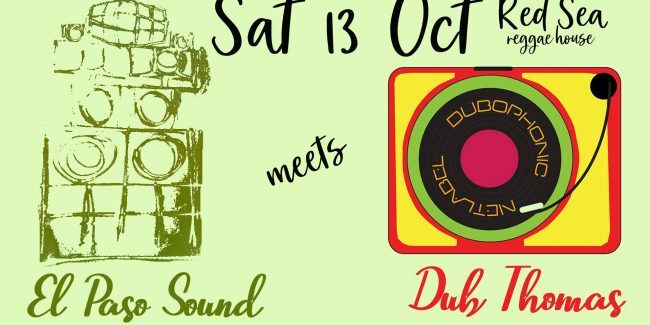 2013 founded Dubophonic, the first netlabel from Cyprus, with the purpose of releasing quality dub music from artists dedicated and passionate about their work and promote the culture of dub and reggae music. From 2013 till today Dubophonic has 22 releases, most of them are free! With artists not only from Cyprus and Greece, but also from all around the world, from Uk to Latin America, from Russia to Japan, the label is defining its own sound in dub music, exploring the outest borders of dub, combining the roots of reggae, the digital vibes of the new century and the ethnic sounds of world music in one big vibration. 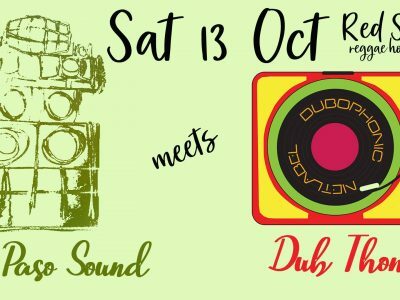 Retain focus on the art of dub music in its most diverse forms, whether it is electronic or acoustic/organic, roots or steppers, classic or contemporary, especially interested to promote crossover projects, fusing dub music with other genres of music, trying to define the outmost boundaries of dub.